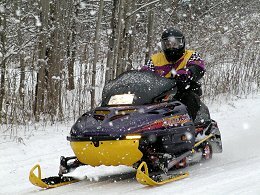 Pennsylvania State Snowmobile Association (PSSA) is a statewide membership organization committed to enhancing the Pennsylvania Snowmobile experience of family recreation, fellowship and tourism, striving to assure high quality trails and safe, environmentally-responsible recreational use of snowmobiles. The PA Powersports Show is held annually in October. Click here for information.